LAS VEGAS (CelebrityAccess) –– iHeartMedia announced the lineup for the 5th annual iHeartRadio Music Festival, with a list of headliners that includes Kanye West, Sam Smith, The Who, Coldplay and Kenny Chesney. Set for September 18 and 19 in Las Vegas at the MGM Grand Garden Arena with host Ryan Seacrest. Other artist on the bill include Demi Lovato, David Guetta, The Weeknd, Tove Lo, Lil Wayne, Fall Out Boy, Disclosure, Hozier, Jason Derulo, Duran Duran, Prince Royce, Diplo, Trey Songz, The Killers, Blake Shelton, Nick Jonas, Janet Jackson and more. 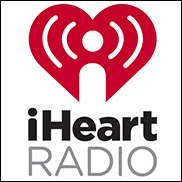 The iHeartRadio Music Festival will broadcast live on iHeartMedia radio stations for fans throughout the country across 150 markets and will stream live on Yahoo Screen (yahoo.com/iheart) each night at 7:30 p.m. PST. The iHeartRadio Music Festival will also return to The CW Network as an exclusive two-night special on September 29 and 30 from 8:00-10:00 p.m.
"Each year we look to create history with the iHeartRadio Music Festival by curating a lineup of the biggest artists from every genre. What makes this show unlike all others is that every artist is a massive star and could easily headline the MGM Arena on their own," said Tom Poleman, President of National Programming Platforms, iHeartMedia. "With unbelievable live performances and collaborations, every year the iHeartRadio Music Festival and Daytime Village are the ultimate celebrations of artists and music." Artists and/or event are subject to change or cancellation without notice.